The survival rate for cancer continues to improve, with the five-year relative survival rate for all cancers diagnosed between 2001 and 2007 at 67%, up from 49% in 1975-1977.3 Almost 80% of cancer survivors return to work, and this trend may continue to increase.4 Therefore, today there are more employees with cancer and cancer survivors in the workplace than ever before. If an employee has or has had cancer, many state and federal laws may apply, including the disability laws and the new health care reform law, "The Patient Protection and Affordable Care Act" (PPACA). These laws include protections for job security, employment benefits and the medical claims process. Employees with cancer may experience discriminatory bias or harassment in the workplace due to their disability or need for medical leave. This discussion entails an overview of the laws which provide legal protection for employees with cancer and employed cancer survivors. Before a job offer is made, an employer may not ask if an employee has cancer, has had cancer, or whether he or she is under treatment for cancer. On the other hand, prior to the job offer, questions regarding ability to perform the job, like weight-lifting limits, out-of-town travel or shift rotation, are allowable. Job applicants with cancer do not have to tell their employer about their medical history or illness unless they need a reasonable accommodation during the application process. If a job applicant voluntarily discloses that he or she has, or has had, cancer, the employer may not ask any follow-up questions regarding diagnosis, treatment or prognosis. The employer may, however, ask questions regarding the need for reasonable accommodations, but only if the employer reasonably believes that such reasonable accommodations may be necessary. Once a job offer is made, it cannot be withdrawn upon learning that an employee has, or has had, cancer. The employer may follow up on whether or not cancer may interfere with job responsibilities or may require a reasonable accommodation. An employer may inquire if the cancer is affecting the employee's ability to do the job, or may require a medical exam, if the employer has a legitimate reason to believe that job performance may be affected. Under all circumstances, however, the privacy laws mandate that an employer keep the employee's cancer history, diagnosis or treatment absolutely confidential. An employee with cancer may only be barred from a job if there is a "direct threat" or significant risk of substantial harm to himself or others which may not be alleviated through reasonable accommodation. Reasonable accommodations for employees with cancer may include: medical leave, periodic breaks for rest or medication, work schedule changes, telecommuting, environmental adjustments, reassignment of marginal tasks or reassignment to another job. The Family and Medical Leave Act of 1993 ("FMLA") grants an eligible employee up to 12 weeks of leave each year to care for the employee's child, spouse, or parent who has a serious health condition. See 29 U.S.C. 2612(a)(1). There are two types of FMLA claims: interference claims, in which an employee asserts that his employer denied or otherwise interfered with his substantive rights under the Act, see 29 U.S.C. 2615(a)(1), and retaliation claims, in which an employee asserts that his employer discriminated against him because he engaged in activity protected by the Act, see 29 U.S.C. 2615(a)(1) & (2); 29 C.F.R. 825.220(c). Strickland v. Water Works and Sewer Bd. of the City of Birmingham, 239 F.3d 1199, 1206 (11th Cir.2001). Employees with cancer who are on FMLA leave, or who have taken FMLA leave, may be swept into a reduction in force ("RIF"), unless it can be shown that their inclusion in the RIF is pretextual for an underlying discriminatory "animus", or that the termination was in retaliation for taking FMLA leave. See 29 U.S.C.A. 2601, 2615(a)(1) et. seq. Therefore, if an employee has cancer, and gets swept into a RIF, there are legal considerations. 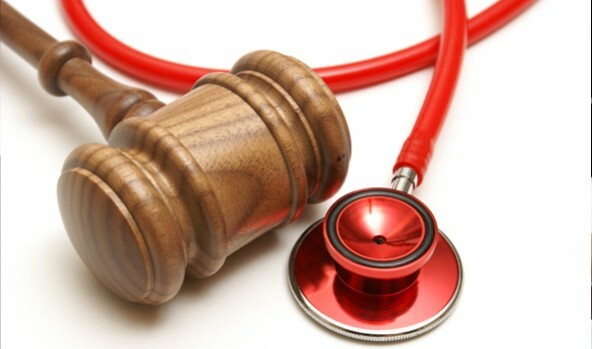 There is a prima facie case of FMLA retaliation if the RIF'd employee shows that (1) he engaged in statutorily protected conduct; (2) he suffered an adverse employment action (here termination in the RIF); and (3) there is a causal connection between the two. Brungart v. Bellsouth Telecomms., Inc., 231 F.3d 791, 798 (11th Cir.2000). "Temporal proximity", or the closeness in time between the protected activity and the termination, may be a factor which courts consider in determining whether or not there is a causal connection, although temporal proximity alone is not determinative. Wascura v. City of South Miami, 257 F.3d 1238, 1245 (11th Cir. 2001). (b) If an employee is laid off during the course of taking FMLA leave and employment is terminated, the employer's responsibility to continue FMLA leave, maintain group health plan benefits and restore the employee cease at the time the employee is laid off, provided the employer has no continuing obligations under a collective bargaining agreement or otherwise. An employer would have the burden of proving that an employee would have been laid off during the FMLA leave period and, therefore, would not be entitled to restoration. 29 C.F.R. 825.216(a) (2009). If an employer satisfies this burden of proof, then an employee may be laid off in a RIF while out on FMLA leave. Furthermore, an employee who has taken FMLA leave may also be refused reinstatement and terminated in a RIF if the employer shows that the employee would have been included in the RIF even if FMLA leave had not been taken. See, e.g., O'Conner v. P.C.A. Health Plan, Inc., 200 F.3d 1349, 1354 (11th Cir. 2000). The regulations provide that job restoration (but not FMLA leave) may be denied to "key employees," defined as salaried employees within the top ten percent of salaried employees working within a 75-mile radius of the employee's worksite, if it can be shown that restoration would cause "substantial and grievous economic injury to the employer's operations." 29 CFR 825.217(a)-(c) (2009). In order to deny job restoration on key employee grounds, however, the employer must notify the employee in writing of key employee status prior to commencement of the FMLA leave, and warn the employee of potential denial of reinstatement and loss of health benefits, if the employer should determine that substantial and grievous economic injury to the employer's operations will result. 29 CFR 825.219(a)(2009). Therefore, a "key employee" on FMLA leave may be swept into a RIF under the "key employee" exception, but only if proper written notice was provided in advance of FMLA leave. If an employee is a cancer patient or a cancer survivor, the employer may generally not discriminate because of cancer diagnosis or treatment. The Americans with Disabilities Act ("the ADA") prohibits employers from discrimination on the basis of a disability, which is defined as an impairment that substantially limits one or more major life activities, a record of such an impairment, or being regarded as having such an impairment. It applies to employers with 15 or more employees, and employees of state and federal governments. Under the older version of the ADA, it was difficult to prove that a person was "disabled." However, a significant change in the law came in 2008. The ADA was amended by the Americans with Disabilities Act Amendments Act of 2008 (ADAAA), which was signed into law on September 25, 2008, effective January 1, 2009. Even if the episode of illness occurred in the past and is now in remission, the cancer may still quality as a disability. The ADAAA has broadened the definition of "regarded as" having an impairment, to an "actual or perceived physical or mental impairment" regardless of whether or not such impairment substantially limits a major life activity. Minor and transitory conditions, conditions which have an actual or expected duration of six months or less, are not included in the "regarded as" category. The ADAAA prohibits discrimination in all employment practices, including lay-off. Therefore, many employees who under the prior law would not be covered by the ADAAA, may now enjoy protection of the ADAAA. Federal statutory law specifically requires health care plans and group insurance carriers to provide coverage for services associated with breast cancer. The Women's Health and Cancer Rights Act, enacted in 1998, requires most group and health insurance plans to provide coverage for mastectomy to also cover post-mastectomy reconstructive surgery. Also, the Breast Cancer Patient Protection Act of 2003 requires most group and health insurance plans to provide coverage for a minimum 48-hour hospital stay for breast cancer patients who undergo mastectomies. American Cancer Society, "Cancer Facts and Figures 2012," http://www.cancer.org/acs/groups/content/@epidemiologysurveilance/documents/document/acspc-031941.pdf (accessed May 1, 2012). "Questions and Answers About Cancer in the Workplace and the Americans with Disabilities Act," the US Equal Opportunity Commission , available at http://www.eeoc.gov/facts/cancer.html, accessed on May 1, 2012. American Cancer Society, "Cancer Facts and Figures 2012," pp. 1, 18, http://www.cancer.org/acs/groups/content/@epidemiologysurveilance/documents/document/acspc-031941.pdf (accessed May 1, 2012). Feuerstein, Michael, "Work and Cancer Survivors," XXIII, p. 350 (2011), excerpt at http://www.springer.com/medicine/book/978-0-387-72040-1 (accessed on May 1, 2012). Questions and Answers About Cancer in the Workplace and the Americans with Disabilities Act," the US Equal Opportunity Commission , available at http://www.eeoc.gov/facts/cancer.html, accessed on May 1, 2012. "Notice Concerning the Americans with Disabilities Act (ADA) Amendments Act of 2008", Equal Employment Opportunity Commission, available at http://www.eeoc.gov/laws/statutes/adaaa_notice.cfm, accessed on March 15, 2011. "Questions and Answers about Cancer in the Workplace and the Americans With Disabilities Act (ADA)", Equal Opportunity Commission, available at http://www.eeoc.gov/facts/cancer.html, accessed on May 1, 2012.